In this new blog series, we’re introducing Sunbird’s interns for Summer 2016. 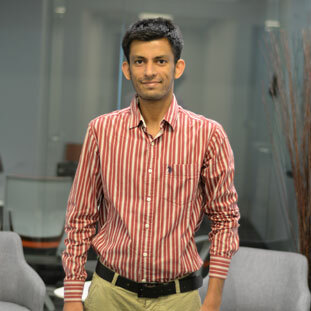 This post shares the perspective of Raghav Pandya, our Engineering intern and a graduate student at Rutgers University. I am currently pursuing Master's degree in Computer Science from Rutgers University, New Jersey. I completed my undergraduate degree in 2013, majoring in Information Science, and then I went to work with a software company for two years. I love to code and explore new technologies in the field of computer science. My programming journey started with QBASIC when I was 15 years old, and I knew that this was the way to go. I have a strong theoretical background in computer science, with C/C++ and Python being my weapons of choice for solving problems. I love getting my hands dirty and making things work, especially if it involves learning new concepts. I am super-excited for my summer internship at Sunbird. I look forward to learning the DCIM Operations GUI interface, establishing domain experience as well as using tools for automated testing, and gaining some database experience. I enjoy the friendly work environment and the cutting-edge technology stack used for software development. I plan to establish a career in software development and be a software architect someday.